A New Shopping Mall is coming to Cary, NC! It should give a boost to the already popular growing area near Hwy 55 & 540. Parkside Town Commons plans to open Summer 2011 just as the economy is expected to stabilize. The new area will include shopping, restaurants, hotel facilities, offices, and residential areas. Not only will it will be convenient for Cary residents, it's also convenient to Research Triangle Park, Durham, Chapel Hill, and Raleigh. Many residents are looking forward to New Shopping on this side of Cary. It'll be interesting to see what shops and restaurants go into the shopping mall. I'm hoping there will be a variety and not all the same things we already have in Cary. I would personally love to see some new restaurants for a change of pace. If I could choose one restaurant that would be a good fit for this area, it would be Seasons 52 based out of Central Florida or perhaps they could bring Red, Hot, and Blue back to Cary. I'm sure it's going to be a beautiful shopping area and will fit into Cary nicely. I just hope we don't have to choose between Parkside Town Commons and Beaver Creek Commons. Two great shopping areas and so little time. 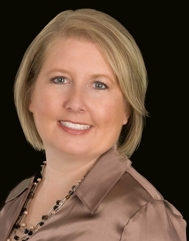 About the Author: Carla Freund is a North Carolina Realtor® with Fonville Morisey Realty, who specializes in buyer and seller real estate services in the Research Triangle. This includes but is not limited to residential purchase & sales, short sales, first time home buying, buying & selling of luxury homes, new construction, specialty communities, out of area referrals, historic & urban homes, and corporate relocation. She represents clients within the cities of Cary, Apex, Raleigh, Morrisville and the surrounding Triangle areas. She is current with transactions in these areas, and very knowledgeable with the local schools and area services. Visit her active rain site at http://activerain.com/carlafreund. Disclaimer: The information provided herein is supplied by several sources and is subject to change without notice. The Carolina Living in the Triangle Blog and Carla Freund does not guarantee or is any way responsible for its accuracy, and provides said information without warranties of any kind, either expressed or implied. Entries on Carolina Living in the Triangle represent the opinions and ideas of the author(s). Carolina Living in the Triangle Blog does not express the views of Fonville Morisey, Inc or those of the broker. Have Housing Prices Hit Bottom in Your Area? Pink or Purple? When selling: How important is the color of a house? Nightmare on your street! Don't let the To Do list do You in! Raleigh, NC: Southern Living in The Triangle!